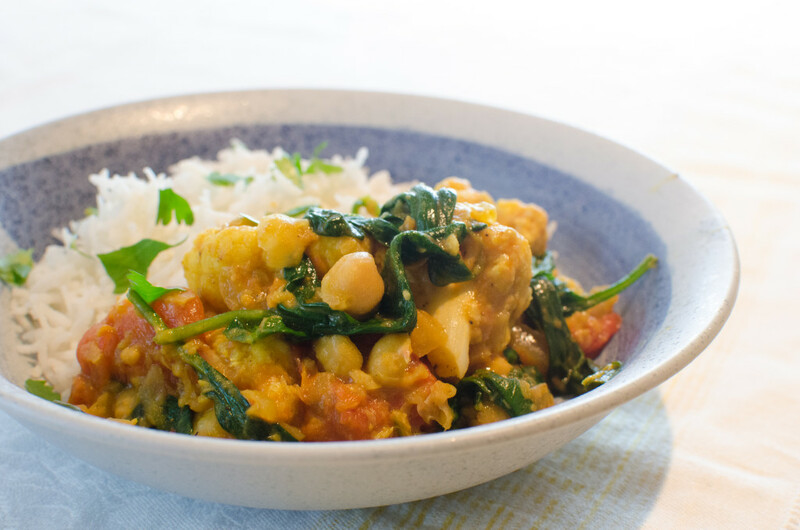 We made a huge batch of Cauliflower and Chickpea Curry a few weeks ago, and you guys wanted the recipe, so here it the video! It’s spicy, salty, sweet goodness. Everyone in my family, including my 8 year old sister always has seconds. You won’t notice it’s vegan! This is one of my mom’s favorite dishes. She got so excited when I was filming a video for my YouTube channel featuring this recipe, because she knew she would get the leftovers! 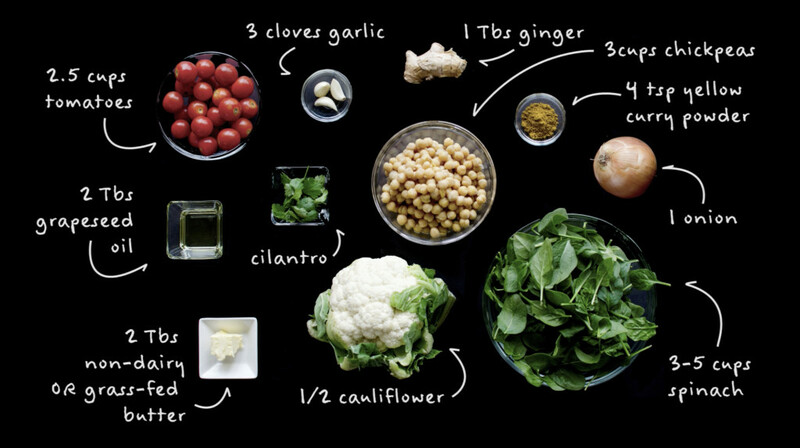 This curry is creamy, with sweetness from the tomatoes, and the chickpeas and cauliflower add an earthy savoriness to the dish. It’s filling and hearty even without any meat, and it’s such a great way to get a ton of veggies! Everyone in my family always has seconds when I make this for dinner. 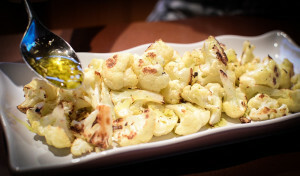 Toss the cauliflower in 2 teaspoons of the oil and place on a baking sheet. Do the same with the tomatoes on another baking sheet. Make sure they are in a single layer and not crowded. Season both with salt and pepper, and roast for about 25 minutes the oven. This intensifies the flavor and gets rid of some moisture. In a medium pot, heat the remaining 2 tablespoons of oil over medium-high heat. Cook the onion until golden brown, about 10 minutes. Then, add the garlic, ginger, and curry powder. Cook until fragrant, about 1 minute. Add the tomatoes, chickpeas, and stock and bring to a boil. Simmer, uncovered, over medium-low heat until the liquid is thickened and flavors are blended, about 30 minutes. Be patient, because it doesn’t taste like much while it’s still watery! Add the cauliflower and simmer until it is warmed through and soft but not mushy. 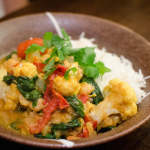 Add the butter, which gives the curry a rich, creamy flavor, and salt and pepper to taste. If your tomatoes are really sweet, you will need more salt—this is really important! Stir in the spinach and let it wilt. Season with salt and pepper to taste. Serve over rice and sprinkle with parsley.